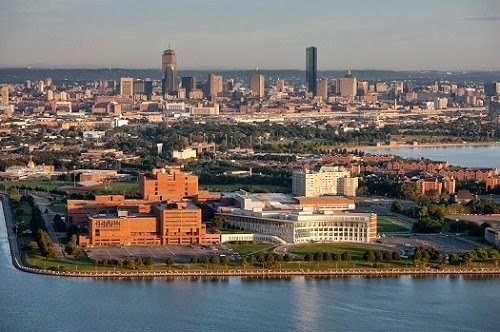 A postdoctoral position is available in the Revell lab (http://faculty.umb.edu/liam.revell/) at the University of Massachusetts Boston in theoretical phylogenetics and/or computational phylogeny methods. Applicants should have a Ph.D. and extensive training and experience in one or more of the following areas: phylogeny method development or application in software; theoretical evolutionary quantitative genetics; and/or evolutionary computational biology. The ideal candidate will also have broad training in evolutionary biology, strong writing skills, and prior teaching or mentoring experience. The postdoc hired from this search will play a key role in a recently funded NSF project to develop and apply new methods for evolutionary analysis in the context of phylogenetic trees. Major goals of this project include developing new visualization methods for phylogenetic comparative biology, improving the integration of phylogeny inference and comparative analysis, and bridging micro- and macroevolution in phylogenetic comparative biology. Consequently, the best candidate for this position will have skills and experience in multiple areas. The project also has substantial training goals, including the development of a new series of phylogenetic analysis mini-courses in Latin America, and a young developers’ workshop at UMass Boston’s Nantucket Field Station. The successful candidate will also be expected to participate in some of these programs. The position is available for one year with the possibility of renewal. Start date is flexible. Please email Liam Revell (liam.revell@umb.edu) with any questions about this position. A complete application for this position will include: (1) a brief cover letter; (2) a curriculum vitae; (3) a maximum two-page statement of your research experience & interest; and (4) names & contact information for three references. Applications can be submitted online via UMass Boston’s Interview Exchange system via the following URL: http://www.phytools.org/postdoc.search/. The position is open until filled, but applications should be sent by May 29, 2014 for full consideration.